Cheers, as ever, for joining us on MyFootballWriter, mate. So… you going to avoid it? If only you’d hung on after that good start on Saturday. Your run-in could be worse… Boro and West Brom are beatable and, to be fair, we’re due a banana skin. Sim: I don’t know at the moment, really. Frustratingly, we’ve had our chances to pull away from the bottom three, but can’t quite manage it. Although we let the lead slip against Hull City, we’ve previously done it against Rotherham United – twice – and Bolton Wanderers. Criminal in a relegation dogfight. The upcoming fixtures certainly look tough on paper, in particular playing yourselves, Middlesbrough, West Brom and Bristol City. It’s crucial that we pick up a few points from those games somehow, even if it’ll be tough to do so. Otherwise, we’re left reliant on home games against Brentford and Birmingham City. Win those two and sneak another couple of draws and we should be fine. But if we don’t, we’re left with the prospect of playing Oxford United next season, and nobody deserves that. Who’s going to hurt us on Wednesday night? You had a really good March… at that point, I thought you’d pull clear of danger. Our main source of creativity is John Swift, a player who’s as frustrating as he is talented. He often seems to glide through games, being error-prone and weak in challenges but is nonetheless capable of several moments of magic even on his worst day. However, he missed the trip to Hull through injury and could be out of contention for Wednesday. Otherwise, Modou Barrow adds blistering pace on the counter. He’s inconsistent but found his shooting boots in March, netting three times. Andy Rinomhota is the Championship’s answer to N’Golo Kante, and Lewis Baker dictates play nicely from a deep-lying midfield role. That Nelson Oliveira started quite well didn’t he? Shame that Tyrone Mings decided to stamp on his face. Shaping up nicely wasn’t he? Three goals in his first six games: scoring on his debut, getting a fantastic winner against Blackburn Rovers, and even netting at Portman Road in a fiesty match – I’m sure the last one went down particularly well for Canaries supporters. That stamp from Tyrone Mings – which I’m still convinced was avoidable – infuriated Reading fans not only for the incident itself but also the FA’s refusal to review what had happened. Apparently, the fact that referee Geoff Eltringham ‘saw’ the stamp meant they could wash their hands of any responsibility to act. Nelson, being Nelson, was desperate to get back on the pitch as soon as possible, and so only missed one match. He carried on where he left off with his gutsy performances until damaging his hamstring against Ipswich Town. He was meant to be out for the season, but ‘miracle doctor’ Eduardo Santos at Shanghai SIPG revived Oliveira in Lazarus-like fashion, and he managed 78 minutes against Hull City. What have you made of our season so far? I’m guessing you’re now up to speed on our German revolution as it’s turned to SkySports/Norwich recently. To be honest, no-one is more surprised than us. I had a funny feeling in the summer that Norwich would do well, actually. Keeping Daniel Farke after an underwhelming 2017/18 season was a wise move, and it’s refreshing to see a team reaping the rewards from keeping the faith with their manager. Long-term thinking is too rare in football nowadays. I’ve also been impressed by how you’ve had to be a bit more inventive with your squad building. Unlike say, Wolves last season, you’ve not thrown money at the team, instead investing wisely like getting Teemu Pukki on a free. Frustratingly, we were linked with him in the summer. Plus, to improve as much as you have after losing a star man in James Maddison says a lot about the real all-round progress being made at Carrow Road. You’re not just reliant on certain players, but are really building something special. I’m incredibly jealous, but nonetheless, hope we can use you as a blueprint if we stay up. What’s happening behind the scenes at Reading and how’s the post-Madkeski era shaping up? The locals happy? Guessing you weren’t expecting a relegation battle? Reading have been a mess ever since Sir John Madejski sold up in 2012, really. He had to do it though and had been very open for some time about being unable to fund the club going forwards due to his property-related losses in the 2008 crash. Since then, we’ve gone through various sets of owners and power structures at the Madejski Stadium. First Anton Zingarevich, who promised a lot but didn’t have any money, and almost pushed us into administration five years ago this summer. Then a Thai consortium who were in reality only ever involved so they could buy up lucrative land next to the stadium. They nonetheless stabilised the club and helped lay the foundations for the 2016/17 playoff final charge. One of them, Lady Sasima Srivikorn, even co-wrote a song called They Call Us The Royals as her gift to the club – look it up on YouTube and see if you can last the full four 4m 1s. (I did… it’s here – Ed). Finally, Chinese siblings Dai Yongge and Dai Xiu Li, who bought a majority share in May 2017. They seem to be here purely for footballing reasons but are rarely heard from, so their relationship with the fans is a little touch-and-go. Although they’ve put plenty of money into the club – particularly a spending spree two summers ago and backing a new training complex at Bearwood – there’s been no joined-up thinking to make the most of that investment. A big reason for that was their decision to replace popular chief executive Nigel Howe with former Chelsea man Ron Gourlay, which proved to be disastrous. Under him, we wasted too much money on average players, and the club started to lose its connection with an increasingly apathetic fanbase. Luckily he left late last year – officially he resigned – and was replaced by the returning Nigel Howe. The club already feels a lot more like its old self, although there’s a long way to go. Because of all the instability I’ve mentioned above, relegation fights have been pretty much inevitable. We survived relatively comfortably in 2015 and 2016 but were much closer to going down in 2018. This relegation scrap was prompted in large part by a lack of long-term, joined-up thinking from top to bottom, and we’ll need to restore both those things if we’re to break out of this vicious cycle. Norwich to make pretty easy work of it. 4-1. 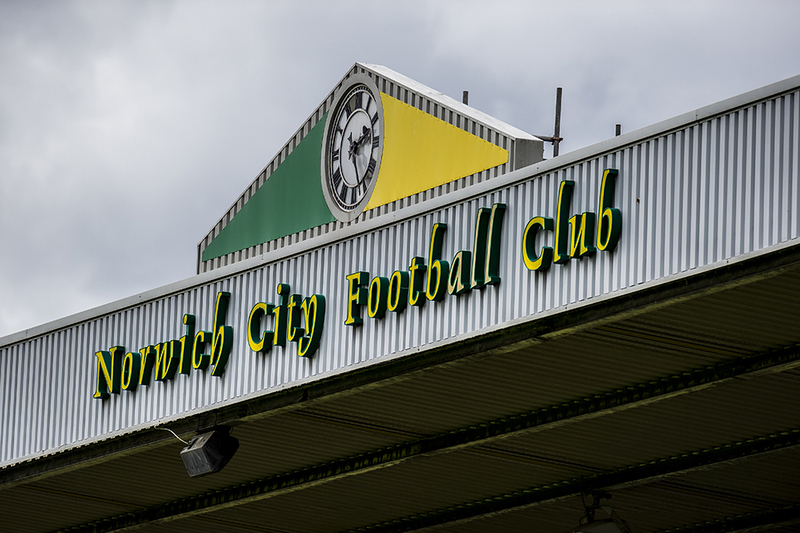 Lots to play for under the lights at Carrow Road, with City looking to make it 9 in a row and Reading up to their ‘proverbials’ in relegation trouble. Defeat to Hull at the weekend, has left the Royals a single point clear of the bottom three with a testing set of fixtures remaining. Both sides will be forced into changes; Oliveira ineligible against his parent club, whilst Farke tries to replace ‘football heaven’ on the right hand-side. Penney predicts: No Emi but we’ll be okay with either Todd, Mo or even Mario in the starting eleven. We’ll have less width but we’ll cope. For sure. 2-0 City. Andy assumes: An altogether trickier game than QPR, I reckon a squeaky 2-1. Stew suspects: It won’t be the stroll that the first half against QPR was – but whoever comes in for Emi will be desperate to impress, as well as being a quality player. The City bandwagon to roll on. 3-0 Norwich. I keep waiting forthe banana skin, but it just doesn’t arrive. This could be it, but somehow I doubt it although a rather different and tougher proposition to QPR – Barrow’s pace needs to be policed carefully but for me it’s a 3 – 1 City win. The only thing that worries me is the pace of Mo Barrow. From what I’ve seen he can be a right handful, even if unpredictable and often wasteful. He’s their version of Argos man but we’d rather have you Onel. We really would. But I’m sure Max (and Jamal if he switches, as he often does) are quick enough to cope with him. I stand by my 2-0 City.